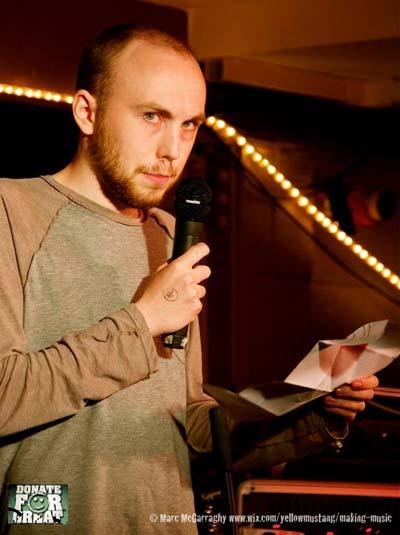 Ben Winterton is (at time of writing) a 23 year old comedian based in York, who has been gigging at open spots in the North of England for the last couple of years (normally in a brightly-coloured pair of skinny jeans). He has won over countless audiences with his electric mix of sharply written jokes and freewheeling ad-libs. He is also making a name for himself as a compere, building huge levels of energy from even the smallest rooms. Ben specialises in unpredictable anti-jokes, dissecting geek humour, and is the only comedian on the circuit to have survived 3 separate gong shows talking exclusively about canoes. Ben prides himself on not relying on easy stereotypes or broad “dark” humour, and as such is one of the few comedians who is both clean and subversive. Although yet to really enter any competitions, Ben plans to make his first year after graduation one to remember. As a former student of Lancaster University, Ben was the founding President of the comedy society LUCI. Aside from regularly performing at LUCI gigs and being the resident compere for the hugely popular “County Comedy Club”, Ben also hosted the live radio comedy panel show “Talk of the Devil” on Bailrigg FM for a season. Also whilst at university, Ben wrote countless sketches, culminating in him being responsible for the first live sketch show LUCI produced, as a producer, director, writer, script editor, performer and title-giver. Ben has mainly performed at open spots in the North of England (Manchester, Lancaster, York, Lincoln, Keighley, Preston, Middlesborough and a field in the middle of nowhere) and gong shows, such as Mr Ben’s Gong Show and Beat the Frog at the Frog and Buckets in Manchester and Preston. He has also done numerous charity gigs, and promises if he ever makes any money from comedy to keep doing these gigs.